Bushveld Mineral’s results for the first six months of 2018 make remarkable reading. Revenue was £62million, up from £2.2m for the ten months to the end of 2017, and profits after tax turned a loss of £0.7m into a profit of £21.1m. The reasons for this dramatic change were, first, the decision by Bushveld in 2017 to move from mineral exploration into vanadium and, second, the three-fold increase in the price of vanadium since early 2017. 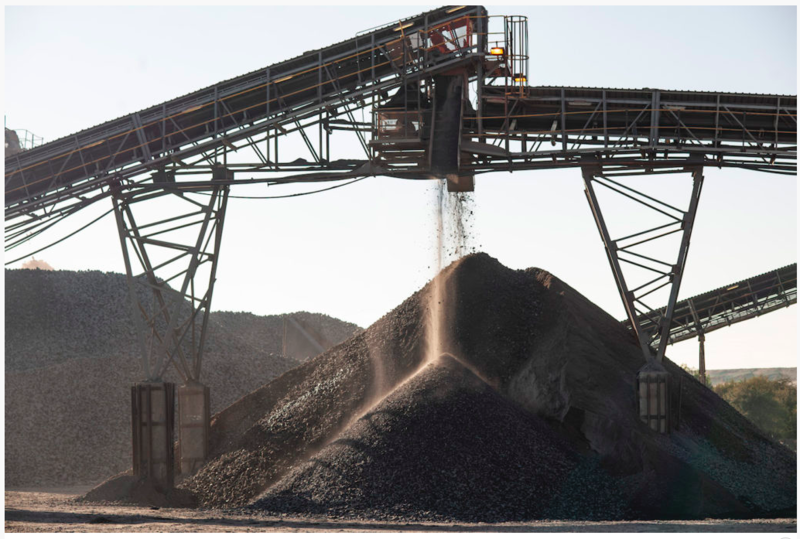 Over the last two years Bushveld has been increasing its holding in Vametco, a company that mines and processes vanadium near Pretoria, South Africa. By mid December 2017 Bushveld owned 59 per cent at which point Vametco’s revenues were treated as revenue rather than shares in an associate. It now owns 75 per cent. In practice Vametco mines magnetite (the original “lodestone”), a relatively common iron compound that may contain a few percent of vanadium. It is normally processed to produce vanadium pentoxide powder or nodules of vanadium and iron, known as ferrovanadium (FeV). Both are used to strengthen steel, so that the price of vanadium is strongly affected by changes in the steel industry. Two such changes occurred in China in 2017 to which the price rise is attributed. One was a tightening of standards for the strength of steel bars in the construction industry, thereby increasing demand, and the other was the shut down for environmental reasons of some Chinese mines. While the high price is welcome, and probably temporary, Bushveld is more excited about another application for vanadium peroxide, which is as an electrolyte in vanadium redox flow batteries (VRFB). VRFBs offer several advantages over lithium-ion batteries for large-scale storage of intermittent energy sources. However the latter have had much more engineering effort put into them and are currently cheaper to produce in terms of £ per energy stored. (VFRB advocates claim that the levelised cost over their longer lifetime make them cheaper). To take advantage of this market, and to hedge against a drop in vanadium price, Bushveld have formed a subsidiary that will provide a complete chain to VFRB delivery. The first step is to produce a pure vanadium electrolyte in a plant to be built in East London in the Eastern Cape in conjunction with the state-owned financier Industrial Development Corporation (IDC) and US-based UniEnergy Tecnologies (UET). The second step is to build, test and commercialise the batteries. This is being done in conjunction with IDC, UET and Ekstrom, a South African power company that claims to provide 95 per cent of South Africa’s electricity and 45 per cent of Africa’s. A prototype battery has been received from UET and, after some initial hiccups, should be commissioned this month. There is some way to go but Bushveld is clearly in a good position to provide not only vanadium but also the electrolyte and the batteries for what should be a very large market to support renewables in Africa, and especially in South Africa as it weans itself off coal. In September the World Bank committed $1billion to accelerate battery storage in developing and middle-income countries. The current high price of vanadium makes VFRB introduction more difficult. Vanadium makes up nearly 70 per cent of the cost of the battery, which is why other companies are going for vertical integration from raw material to battery, and are looking into clever schemes for leasing the electrolyte rather than selling it (see Some Good News for Flow Batteries). Bushveld considers itself one of the lowest cost producers of vanadium in the world so believes it has an advantage. As a result, the company is expanding aggressively. It currently provides 3 per cent of world production but has plans to double its output from Vametco by the end of 2019 and to further double it in the medium term by adding two more promising nearby prospects (Makopane and Brits). Another division, Lemur Holdings, holds a coal asset in Madagascar which it plans to develop with an accompanying power station. Bushveld’s share price stands at 42p today, slightly down from a high of 48p two weeks ago but far above the price of 8.75p a year ago. Market cap is £442m.